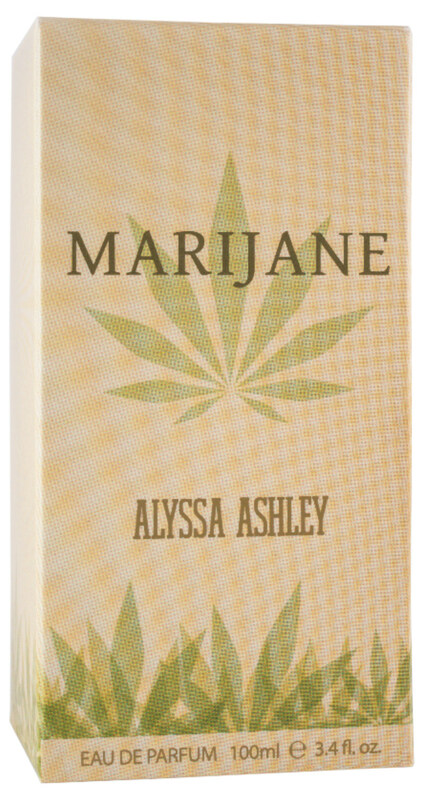 Marijane is a new perfume by Alyssa Ashley for women and men and was released in 2018. It is being marketed by Perris Group. I have to do a little preface: I've Always been against all types of drugs and i've never smoked a joint, anyway I know the aromatic scent of the burnt marijane : it's unmistakable and I hate it . However, when I saw on the drugstore's shelf this minimal and almost innocent bottle with the writing "Marijane" and the leaf's picture i saw to myself: "Oh My! A ....bottled joint?" I was too curipous to discover if this scent was similar to a joint or fresher, more herbaceous and quite different. The first impression wasn't so good: the marihuna note was quite strong covering the freshness of the citrusy opening notes , but after a few hours the pleasant frankincense note developped its "mystic"intensity giving way to a warmer base of earthy patchouli (noticeable but not too heavy ) , musk, Woods and a vibrant and green vetiver touch. So, finally this scent became balanced. Anyway, it's a very particular unisex scent, not for everybody. recommended for the old and new hippies believing in the "flower power" phylosophy or simply for those who are searching for a unique fragrance. So,if you want to "wear a legal joint", just test this scent!